Having trouble reading this newsletter? 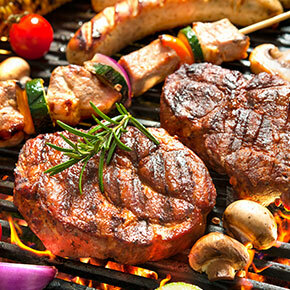 Click here to view the hosted version. We have been busy bees getting Barford ready for you lucky lot, and now after 2 years of building, preparing, painting and furnishing we have completed the final titivating and its now ready for you - our lovely guests. If you need any further persuading look here​ for our first review. 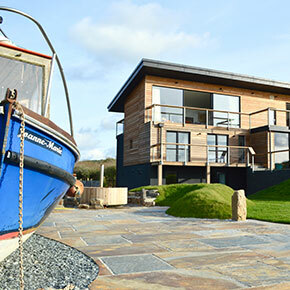 To celebrate its recent launch and as we have lots of availability over this summer we are offering 20% off holidays at Barford (or Pentire) taken in 2017. 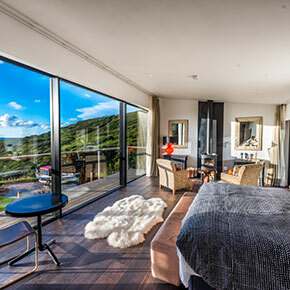 ​Is THIS the biggest master suite in Cornwall? 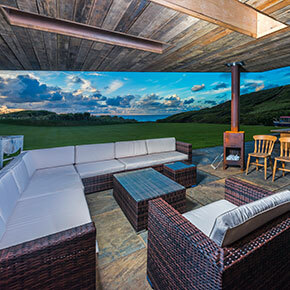 At ​over 50 sq m with its own cocktail bar/kitchenette ​and ​sitting area (with woodburner & tv) its ​undeniably luxurious. Step out of the huge, seven metre wide,​ custom made sliding windows onto ​the terrace, ​or ​you can watch the sun plop into the sea from the comfort of ​y​our deluxe ​bed​. ​If you are looking to relax and indulge yourself why not immerse yourself in the jaw ​-​ dropping monochrome double shower ​or plunge in our stunning​ folded copper William Holland bath with porthole view ​of ​the sea; Its seriously wonderous. 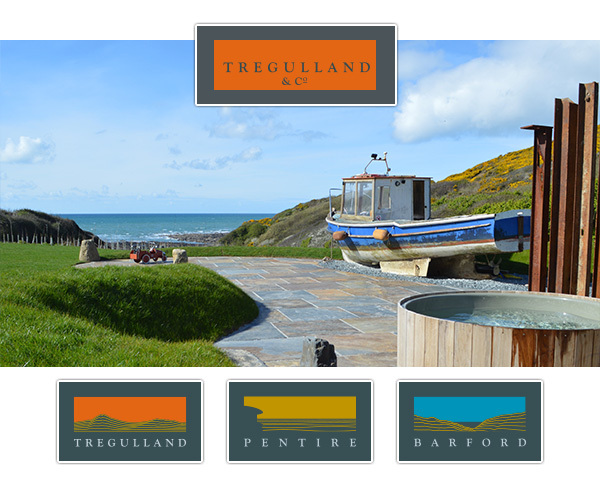 At Tregulland ​Cottage & Barn​ we have ​loads of ​outdoor tables for everyone to be able ​to eat together for that all important BBQ, ​and even ​have a "coffee table" (Champagne table?) beside the hot tub. 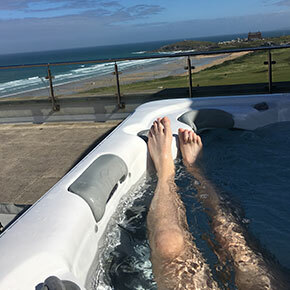 At Pentire we have a cleverly designed lounging/dinin​g area next to the hot ​tub with its astonishing views over ​F​istral beach. At Barford we have a created ​a canape-ready canopied area which can protect you from the sun or the worst of the elements even on blustery nights, and with a selection of fire pits and outdoor wood burners ​at each property​ for those all important marshmallow frenzies (or baked potato evenings) we have all the bases covered! 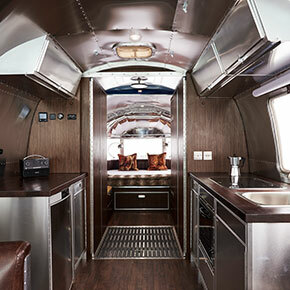 Those of you who follow us on instagram will probably already know how incredibly lush the Airstream is now - when we first got hold of this very rare airstream motorhome it was a beige 80s monstrosity:shag pile carpet and all! But now, after months of careful planning and exceptional craftmanship by ARC Airstreams its been turned into a spectacular delux vision of comfort and quality cool- a compact house parked up on its own plot with all mod cons: kitchenette, awesome sound system, plumbed in shower and loo, not forgetting the humungous 7ft sq Emperor size bed to lounge in. Follow us on Instagram, Facebook and Twitter for updates.